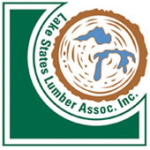 Long winters in northern Wisconsin slow the growth of timber creating exceptionally dense, tight-grain hardwoods. By having a plant layout that allows for flexibility, we give our customers a competitive advantage. From kitchen floors to sports complexes, Infinity Wood Floors delivers quality every time.